So its that time of the month again where i run out of moisturiser. 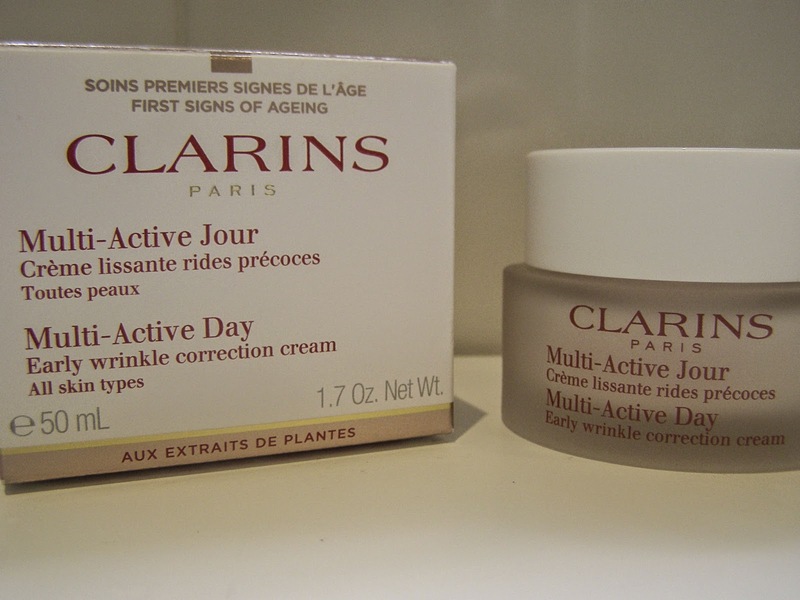 I have tried a few moisturisers but this time I'm going back to my Clarins Multi Active Day Cream. 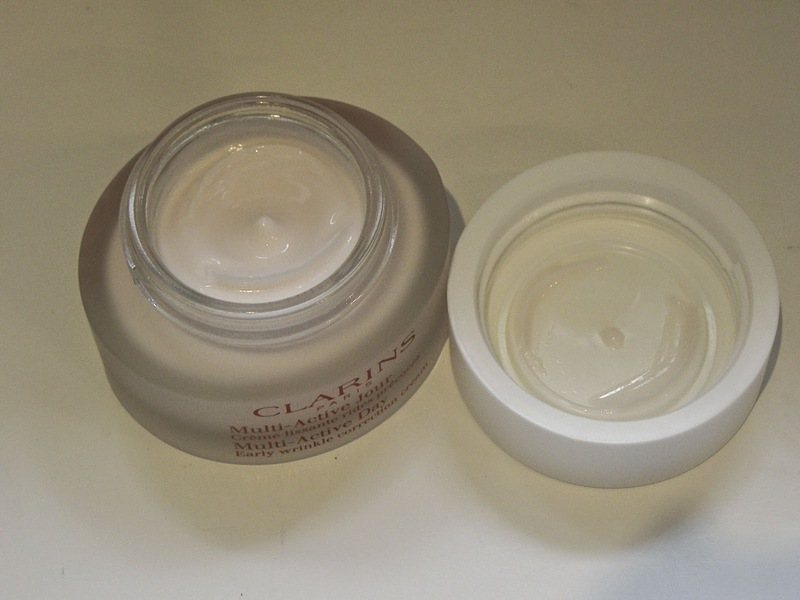 Moisturiser is such an important part of your daily face routine so buying a good cream is essential. I do favour this cream mostly because a little goes along way. The texture of the cream is thick and rich so you only need a small amount which makes the tub last longer. I dab small amounts of the cream onto my forehead, cheeks, chin and nose and then rub in gently always remembering to avoid your eyes. I find this moisturise lasts me all day and never leaves me with dry skin. It also is a very good base for my makeup which is always helpful. The packaging of the cream i do really like the glass tub with a white lid is very simple but classy and fits in well with my bathroom as it is mostly white.